This week’s roundup of apps includes offerings that help you maintain your privacy, share your ideas, and defeat the forces of evil. Already this week, we brought you news of the latest update to Twitter’s official app. We also brought you guides to our favorite apps that help you measure stuff, tell you about war, and feature animals. Also, this week saw the arrival of Assistant, a $2 app that provides Siri-like functionality on pre-4S iPhones. There were updates to the popular games Angry Birds Space and Jetpack Joyride. And LinkedIn’s iOS app was updated with iPad functionality. Airfoil Speakers Touch: This app has long let users stream music from their desktop computers back to their iOS devices. (A useful option if you wanted to listen to services like Spotify on your iPhone, say, but didn’t want to shell out the dough for a subscription to Spotify’s mobile streaming service.) 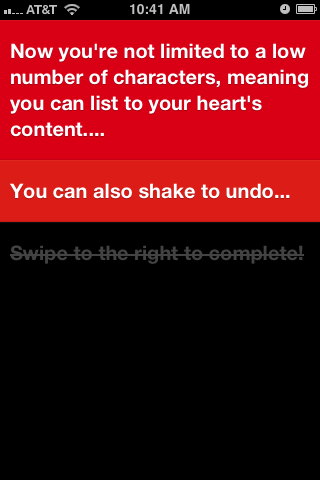 This week’s update to the free Airfoil Speakers Touch app does one expected thing and one unexpected thing. The expected thing? 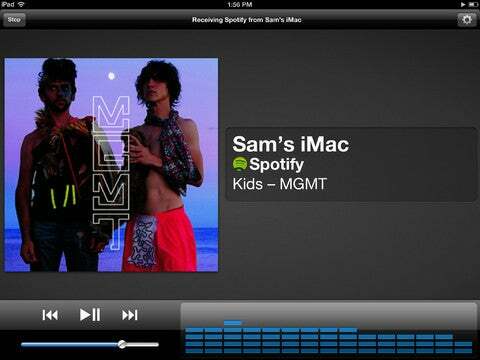 The app is now universal, with an iPad-optimized user interface made for the new tablet’s Retina display. Less-expected? With a $3 in-app upgrade to the Enhanced Audio Receiving option, you can now wirelessly stream music from one iOS device to another—AirPlay-style—without the need for any third-party gear. Clear: Now that the launch hype has died down, the folks at Realmac are getting down to the business of improving their $1 Clear to-do app for iPhone. Version 1.1 launched this week with a couple of helpful new features—most prominently, a “shake to undo” function that lets you get back a list item that you’ve accidentally deleted. A limit on the number of characters per list item has also been eliminated, meaning you can describe your goals in college-essay detail. Unusually for a productivity app, the developers have also promised “secret” new themes that users will find as they go about the business of setting their tasks. Can you be Clear and coy at the same time? 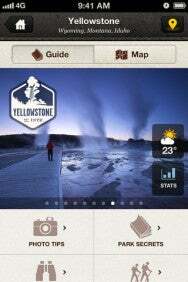 National Parks by National Geographic: Here is an iPhone app that Teddy Roosevelt and Ansel Adams might love. The free National Parks by National Geographic app offers views and information about America’s greatest public spaces, like the Rocky Mountains and the Grand Canyon. It includes photo galleries of each park from National Geographic’s archive, but it also offers practical help for the nature-lover and vacation-planner, with GPS coordinates for points of interest, and a list—curated by National Geographic editors—of to-do activities in each park. 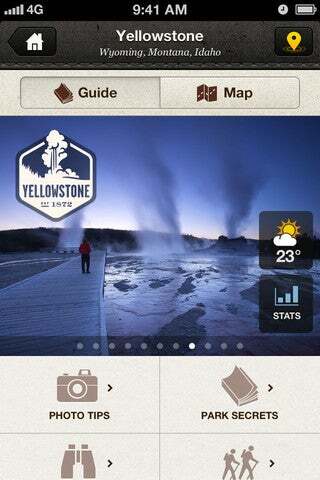 Though the app is free, guides to specific parks are offered as in-app purchases, with prices ranging from $1 to $2. Onion Browser: If you really don’t want people knowing what you’re looking at on the Internet—and we mean, really, really don’t want people to know—then Michael Tigas’s $1 Onion Browser app for iPhone and iPad might be what you are very secretively looking for. The browser accesses the Internet using the Tor router network, and makes it impossible for websites to see your IP address. Tigas promises that the technology allows for free Web surfing in countries that practice online censorship, but not all of them: The app does not function in Iran or China. Overall, though, the app promises to let you browse “privately and anonymously,” but there is a downside: Web surfing will be slower than on regular browsers. 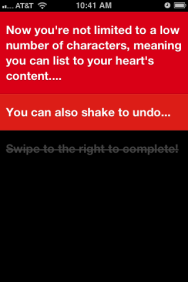 We’d tell you more about this app, but then we’d have to kill you. 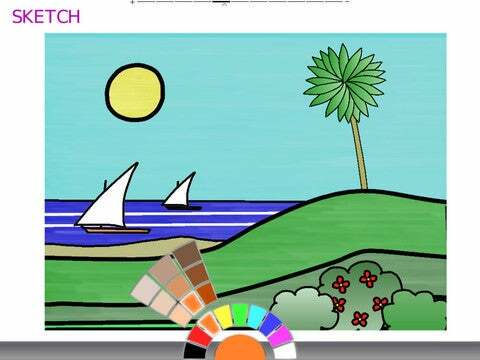 Shared Paper: Meet the Google Docs of sketchpad apps for iPad. The $3 Shared Paper app lets you draw and doodle, yes, but that’s not much different from all the other sketching apps on the market. Shared Paper, though, wants to live up to its name: You can connect up to 15 other iPads in order to make the sketching and doodling a collaborative process. That offers the possibility of what developer Nigel Jenkins calls a “digital whiteboard.” Businesses and educators can take the drawings and ideas and convert them into a Powerpoint-style slideshow that can be presented directly from the app. Spellsword: Game time! If the 21st century is just a little bit too much to take, maybe it’s time you take your sword and wizard hat and go fight the forces of darkness. 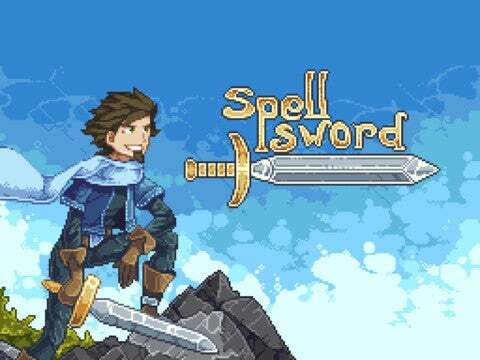 We’re talking about Everplay Interactive’s $1 Spellsword game for iPhone and iPad, of course. It’s an old-school role-playing game that features 60 missions, nine “endless” arenas for competition, and, well, lots of amulets. Have fun storming the castle!